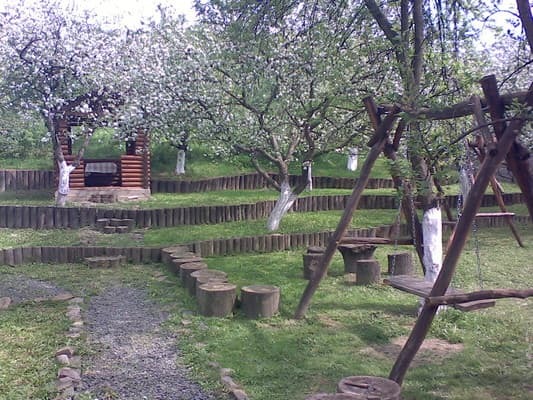 Private Estate "Vorobey" is located in the Chinadievo village, 8 km from the district center - Mukachevo. 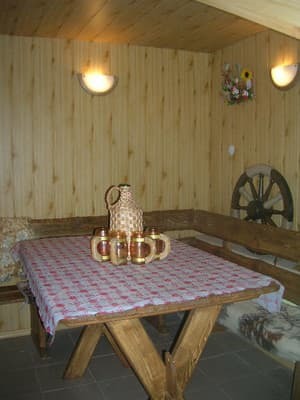 Guest house "Vorobey" is a two-storey building, which offers spacious double and quadruple rooms. 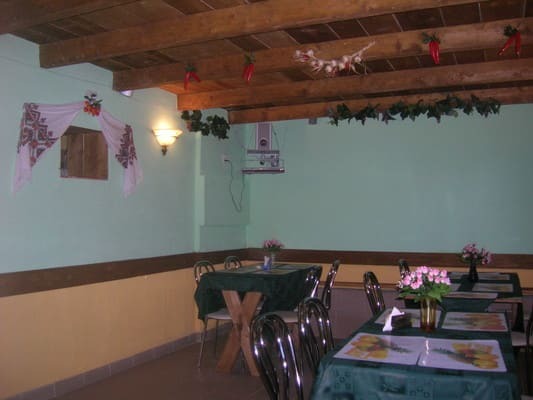 The hotel consists of 5 rooms, which can accommodate 14 people. Linen and cleaning is available on request. Meals for guests can be done in the dining room of the estate (home cooking). 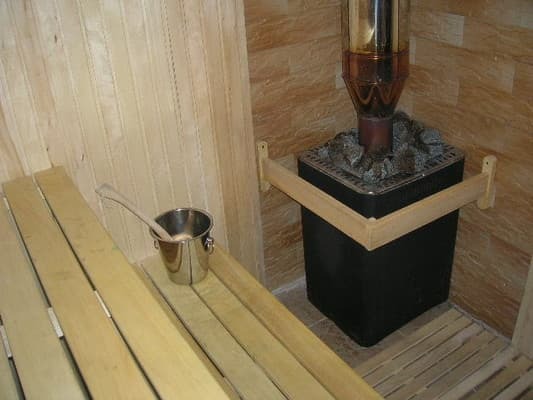 There is a Finnish sauna, playground, wine cellar and a garden to relax. You can order a transfer from road and railway station for an additional fee. 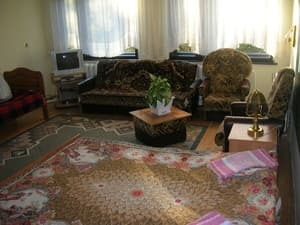 The nearest ski lifts is located in Sinyak village - 350 m and 1000 m.
Description of the room: Comfortable room with double bed. The bathroom is located on the floor (if the room on the 1st floor - a bathroom for 2 rooms, if 2 - for 3 rooms). 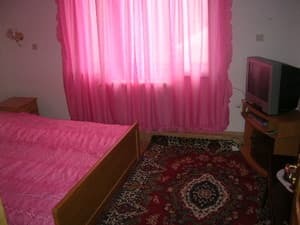 Description of the room: Family spacious room. The room has chairs, bedside tables, bedside lamp. The bathroom is located on the floor (if the room on the 1st floor - a bathroom for 2 rooms, if 2 - for 3 rooms). Children up to 10 years old stay with 50% discount. Extra bed for adults – by agreement. Guests can enjoy a health course in the sanatorium "Sinisk". By train (Uzhgorod direction) to “Karpaty” station, then take a bus or book a shuttle service (20 UAH / car). 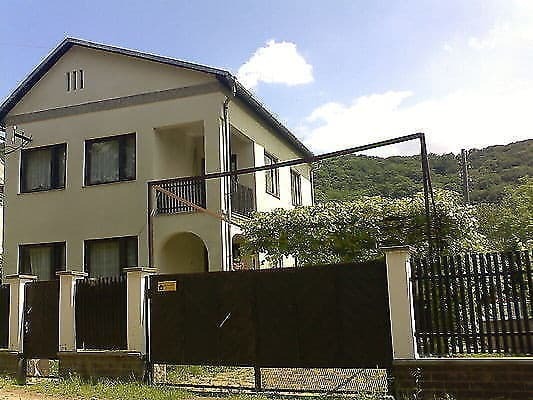 By car - the road “Kyiv-Lviv-Chop”, turn at the sign "Chinadievo", then turn right (at the bar "Snickers"), drive 1 km, before the bridge turn right, go up the street about 150 meters, the house is located on the right side of the street.